Colorado Gov. John Hickenlooper (D.) on Thursday compared current tensions between America's rural and urban areas to those of the Civil War era, saying that today's divide is "as significant." Hickenlooper, who has been floated as a possible 2020 Democratic presidential candidate, made the attention-getting comment in an interview on Politico‘s "Money" podcast, in which he discussed his time in political office, his friendship with Ohio Gov. John Kasich (R.), and his views about America during the Trump presidency. When Hickenlooper and his interviewer broached the subject of why the U.S. has become increasingly divided over the past decade, the governor offered that the growing stratification between rural and urban areas is more serious than any divide along class or racial lines. The governor added that, while the rural-urban divide does not garner significant attention, it is as severe as anything the country has faced since slavery. "We are seeing a divide in this country that is as significant as when we had slave states and anti-slavery states," Hickenlooper said. "This rural-urban divide, people in rural areas of Colorado and across the country feel like the urban areas have just left them behind and don't care." This is not the first time that the governor has made controversial comments about rural America. In 2009, Hickenlooper, then serving as the mayor of Denver, said during an interview that there is "backwards thinking" in Colorado's "rural western areas." 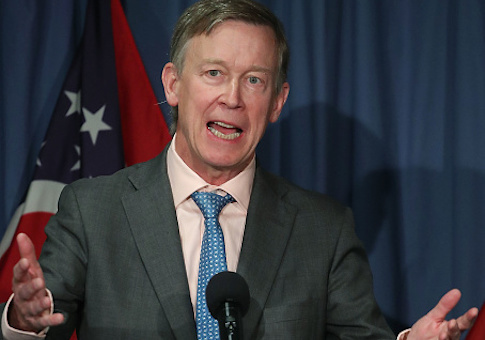 Hickenlooper made the remark, which hampered his 2010 gubernatorial bid, in an interview with Eden Lane, a transgender journalist for Denver's PBS affiliate, on the establishment of the Matthew Shepard Foundation, an LGBTQ advocacy group. Lane asked Hickenlooper why the foundation, named after a young Wyoming man who was allegedly killed for being gay, had chosen to locate its headquarters in Denver when Shepard was not from the city and had never spent any extensive time in Colorado. Hickenlooper opined that Denver's friendly and inclusive stance on different lifestyles stood in stark contrast to rural areas in the rest of Colorado and states like Wyoming, Montana, and New Mexico. "I think a couple things, I mean, you know, the tragic death of Matthew Shepard occurred in Wyoming. Colorado and Wyoming are very similar," Hickenlooper said. "We have some of the same, you know, backwards thinking in the kind of rural western areas you see in, you know, Montana, Wyoming, Colorado, New Mexico." During his interview with Politico, Hickenlooper did not directly say whether he plans to run for president, but he did not rule out the idea. This entry was posted in Politics and tagged 2020 Election, Colorado, Democratic Party, John Hickenlooper, President Trump. Bookmark the permalink.